Son of Catherine Keith Nicolson and the late Angus Nicolson, of 194, Woodlands Road, Glasgow; late of Gairloch, Ross-shire. 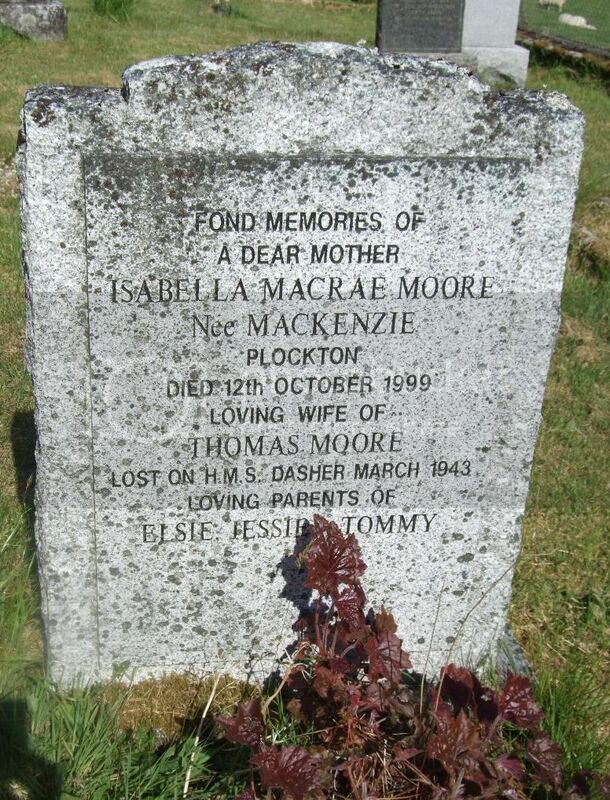 Erected to the memory of Kenneth Matheson, Balmacara Ferry who died 17th June 1895 aged 60 years. 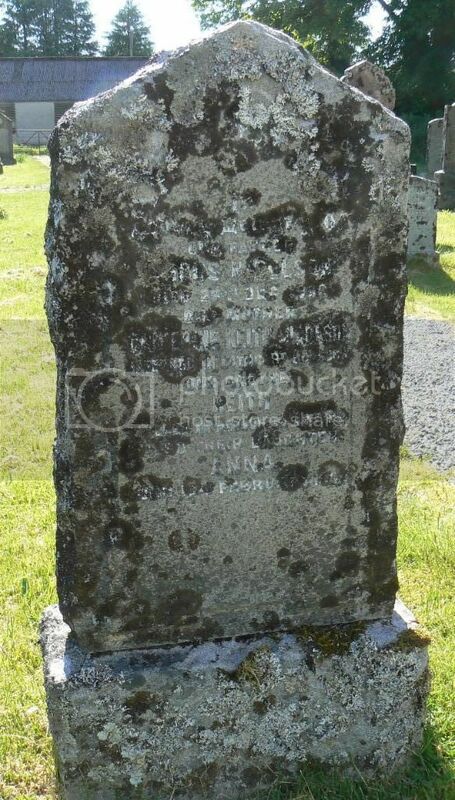 His son Donald Alexander died 13th February 1900 aged 26 years. 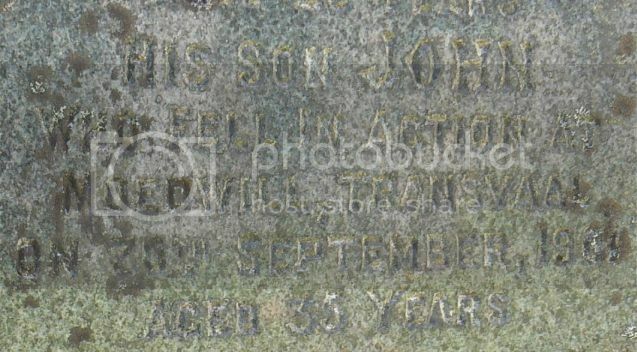 His son John who fell in action at Moedwill, Transvaal 30th September 1901 aged 35 years. 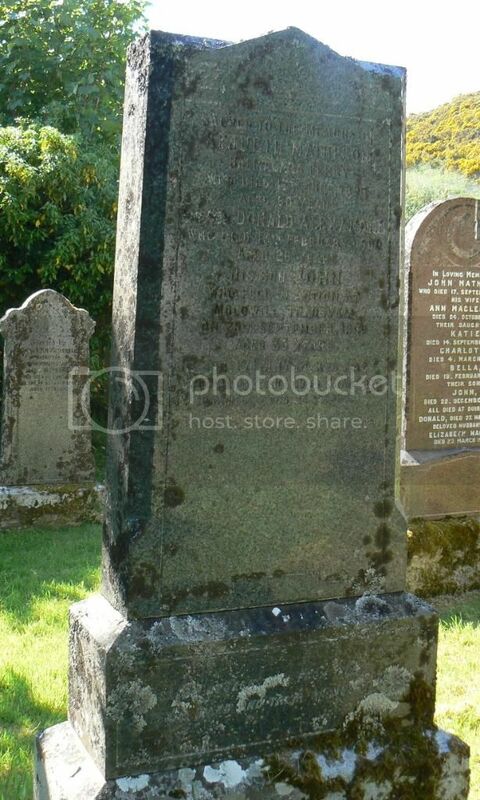 His son William who was accidentally killed in Glasgow 3rd Dec 1912 aged 34 years. Panel ReferencePanel 3, Column 1.